Call 608.222.5125 or e-mail lewisphotomadison to receive a detailed brochure about wedding photography or to schedule a meeting with Barry. 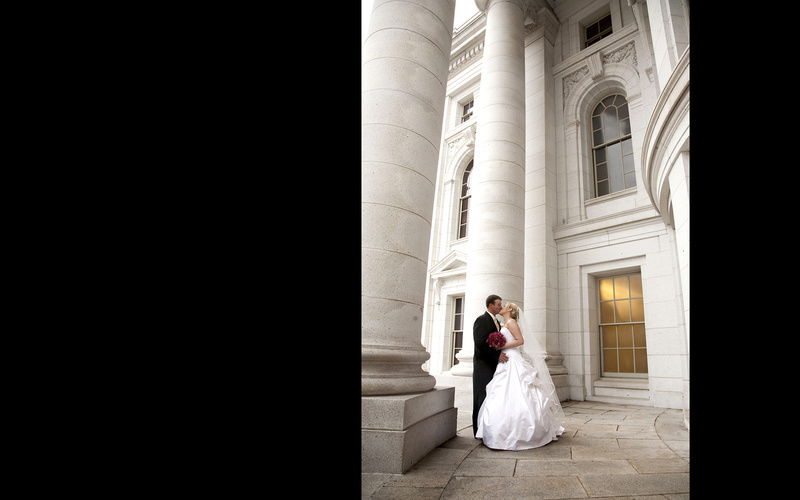 As an award winning master photographer, Barry Lewis is committed to fine, artistic wedding images. You have his undivided attention to your special plans from the first time you meet with him through the time he helps you design your album. In offering coverages tailored to your needs, his goal is to personally help you have a very smooth and enjoyable wedding. Your photographs will be a beautiful collection of classic and candid images that depict a sense of romance and emotion, portraying your love, friendship, and the fun, excitement, and spontaneous moments of your wedding day! Original high resolution files of 500-600 images on DVD. Free engagement sitting. Includes eight continuous hours* Wedding 4x6 proofs of 900-1200 images. Online gallery of select images. Custom collage album or classic Art Leather album which includes up to 30 pages. $900 album photograph credit. Original high resolution digital files on DVD. Includes seven continuous hours* Wedding 4x6 proofs of 800-1000 images. Online gallery of select images. Custom collage album or classic Art Leather album which includes up to 30 pages. $650 album photograph credit. Original high resolution digital files on DVD. Includes six continuous hours* Wedding 4x6 proofs of 700-900 images.Online gallery of select images. Original high resolution digital files on DVD. *Additional time is available at $195 per hour.